I wrote a story recently about how one of Avery’s school friends shoed her away on the playground and hurt her little heart in the process. Then I shared a story with tips for including children with special needs in play dates. The next day this Facebook message appeared. A few private messages back and forth and bam! 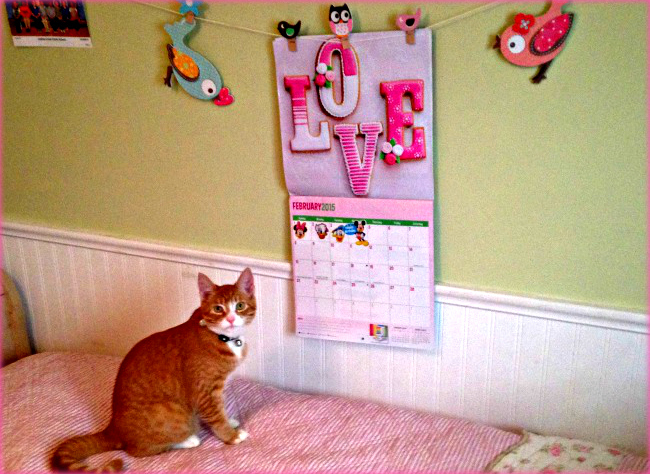 We have a very special play date on Avery’s new calendar. I’m not saying you have to be a mom to care about other people’s kids. My friend Ali loves my kids and takes a genuine interest. She has the cutest banter going with Sebastian. She is constantly threatening to “take him down” on the Wii playing field. He laughs and rolls his eyes and loves it. He loves her too. And so does Avery. 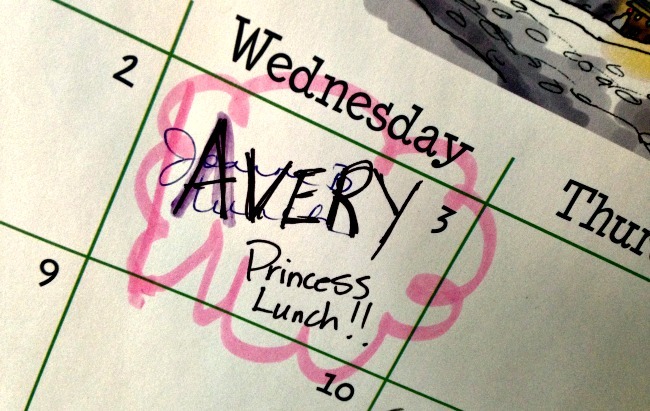 When I told her Ali had invited us over for a girls’ day of baking, Avery lost her cupcake loving mind. When my girlfriends phone, Avery recognizes their names on the call display. She runs to answer and they chat. There’s no impatient, “Is your mum there?” It’s them, chatting together like old girlfriends and I have to wait my turn. It’s awesome and I’m grateful. And then there was this enormously thoughtful gesture that nearly brought me to tears. My friend Laurie knows how much Avery loves a party. So she took time out of her busy schedule to host one. Just for my daughter. The table was fit for a princess—flowers and tea cups and Avery’s favourite mac and cheese. 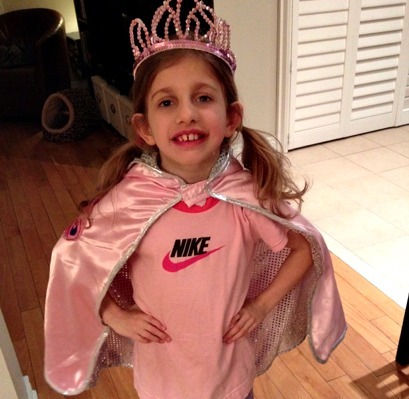 In her special princess cape and glittery crown, Avery was treated like royalty. 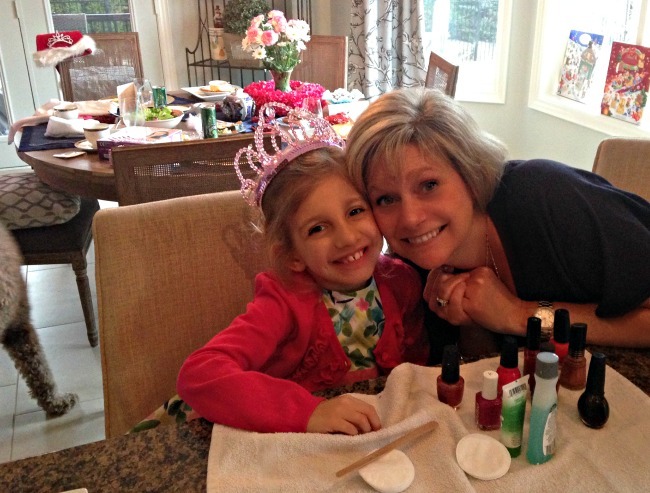 It was the perfect Princess Party— from the grown up luncheon, to interactive nail bar, to gymnastics in the basement! Laurie, thank you for loving my girl. You show it in your words and your actions and the way you smile whenever you see her. And the fact that you let Avery paint YOUR nails and then kept them like that for work the next day? The sweetest.